The American Medical Association said Thursday it's "troubled" by the change because it characterizes gender transition as a "deficiency". CBS News wrote , the Supreme Court ruled that the military could enforce its policy on transgender service members after President Trump called for the ban back in a 2017 tweet, claiming the USA military "cannot be burdened with the tremendous medical costs and disruption that transgender in the military would entail". The White House's ban on transgender troops serving in the military is set to take effect Friday. "The AMA has said repeatedly that there is no medically valid reason - including a diagnosis of gender dysphoria - to exclude transgender individuals from military service". It said it also objects to the Defense Department classifying the need to transition to another gender among "administratively disqualifying conditions" that include those the Pentagon has labeled as a "congenital or developmental defects". Last month a federal judge lifted a final injunction on the proposal allowing the directive to move forward, the federal government continues to say, "all persons will continue to be treated with dignity and respect". "Under our ethical standards, we can't say anything derogatory against the administration, while we are being presented in a disparaging and derogatory light", said Muller, 37, who is based in Fort Carson, Colorado. The change requires members of the USA armed forces to follow military standards associated with their birth gender. "Here we have identified an issue that is treatable, does not keep people from deploying or anything from doing their jobs and we've told our troops that you have to choose between treatment and your job which, for many folks, their families depend on that". "They can dress it up in whatever words they want, but when you carefully look at this it's total disrespect for these human beings by saying a core piece of them is not acceptable", former acting U.S. Army Surgeon General Gale Pollock said. 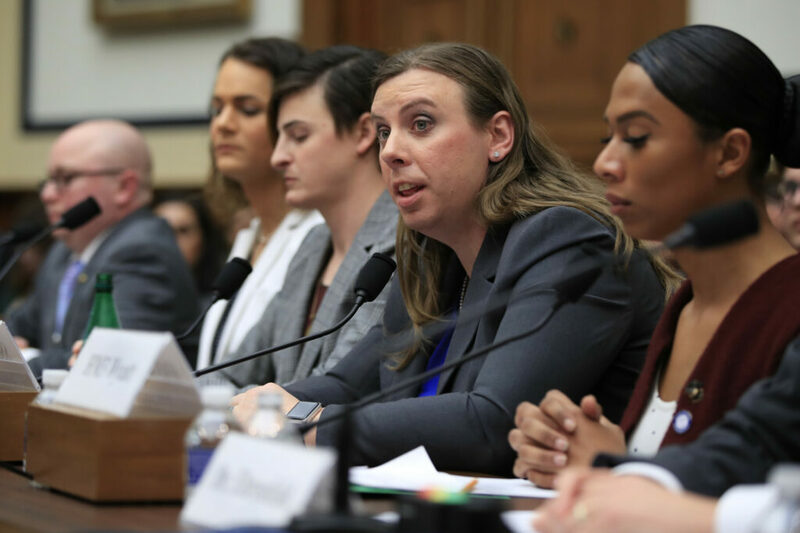 Defense officials were asked by reporters last month for the data that shows transgender individuals have a negative effect on military readiness and unit cohesion, but officials conceded that it doesn't exist because the Pentagon doesn't track transgender service members. Many have received medals since the armed forces welcomed them in 2016.